During the last years, either EU or Italy has provided incentive pay to who decides to install solar or photovoltaic panels. Photovoltaic panels have been extensively installed in Germany, thanks to a favourable legislation allowing energy producers to sell energy in excess to the electric suppliers, to the same purchase price. Therefore, consumers pay the difference between what they consume and what is supplied by the electric company, and in case of positive balance a credit is provided to them by the electric company. 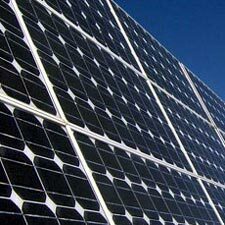 The “Conto Energia” appropriates funds for encouraging the domestic and industrial photovoltaic systems construction. Within 60 days from the photovoltaic system installation, a contribution request is necessary. Moreover, many banks provide many forms of financing directly related to this particular issue. Practically, thanks to the “Conto Energia”, it is possible to sell to the electric company the energy which is produced. Therefore, if the balance between the produced and consumed energy is equal there is no need of payment (but the grant is assured anyway); otherwise in case of negative balance the difference is due to be paid, or if positive a credit is provided by the electric company. The new Legislative Decree enhances the incentive pays, which are counted on the whole produced energy and not only on that poured into the electric net: photovoltaic systems become a real form of investment. After 20 years the funding cease, but the energy produced will be used for domestic needs and therefore the billing will match the difference between what is produced and what is consumed, so assuring an au pair exchange with the electric company. It is also possible to install photovoltaic plants on soils and wide spaces. The Italian Govern provides also grants and taxes benefits for the installation of thermal solar panels.